It's a lazy kind of Sunday over here. and enjoy an extra cup of coffee while waking up and getting your day started. This week, I have been enjoying having my oldest son and his girlfriend here. that goes along with everyone being home. but it's no less random than usual. I have realized that I am obsessed with topiaries. 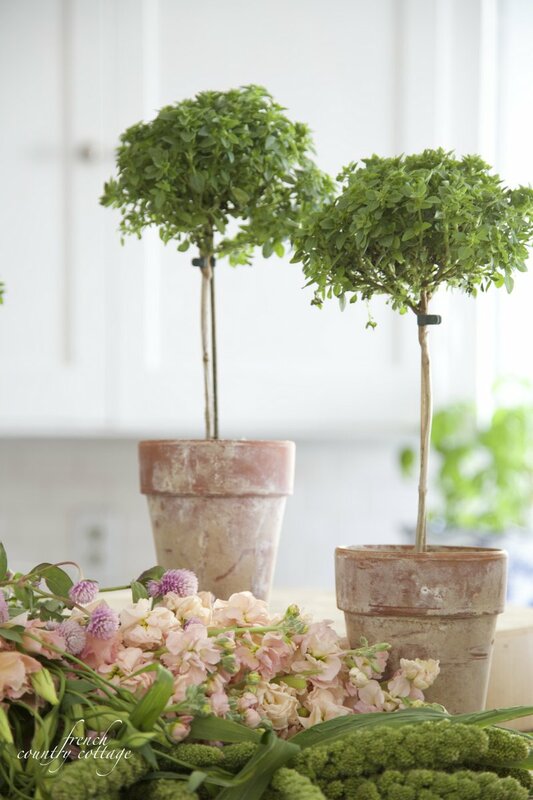 Especially little cute basil topiaries in little clay pots. for a few extra styling projects this week- and it's even better. and hanging a fresh clipped cedar swag. it felt like it was time to run to the beach for a few hours. and on timelines that are ahead of the seasons. It's all good - just different. I did realize that I am more excited about Christmas decor this year than Fall decor. and I have Christmas decor up. for now, I am enjoying Summer as long as it is warm and 'Summery' outside. I left my heart in San Francisco yesterday. San Francisco is such a beautiful city. and was super inspired by all the creativity that was everywhere. Like my latest big time crush- everything gold and now... wait for it... rose gold. I am bordering on becoming obsessed and when I saw this flatware- well, you can guess. I will share a closer look at them and more details in a post this week. I am loving the rose gold as well. Saw a rose gold watch I'm dying to get. I too am ready to start my fall decorating. My pumpkins are ready to pick. I've got new soup recipe's to try and ideas for new wreaths to start. But it's 104 degrees today and I'm sipping iced coffee trying to decide what to wear to my son's wedding on the beach in Florida. Yeah, we are still swimming here in hot ole Arizona but it's all good. I love our winters with no snow!! I'm looking forward to cooler days soon. 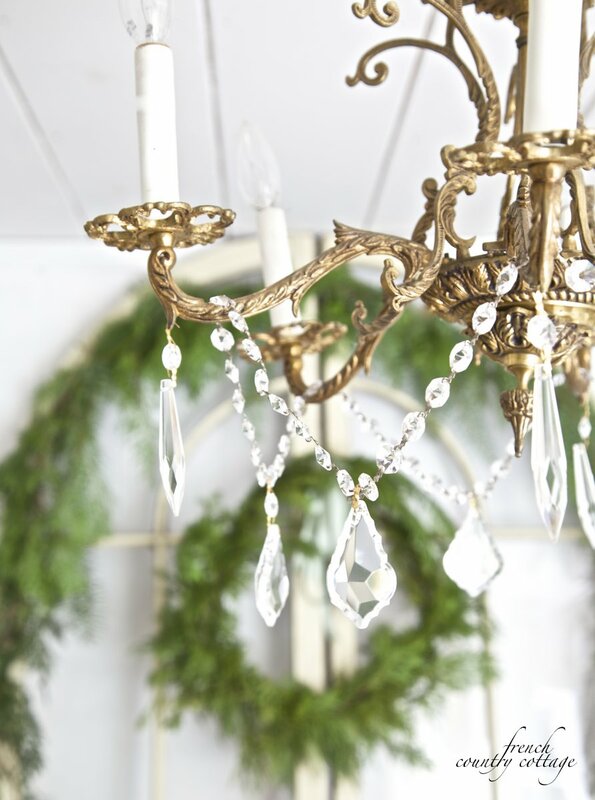 Adore your topiaries and decor, even though you play Christmas music, decorating and styling is the best! I like your new photo! I love your arch dripping in cedar. It is early yet for me. Fall stuff won't come out for a few more weeks. My husband always teases me about listening to Christmas music too early but I love it anyway. It's way too early for me too- but working ahead for publications means- early, early, early. I am not ready for Fall decor yet even- enjoying Summer. They are from Trader Joe's. 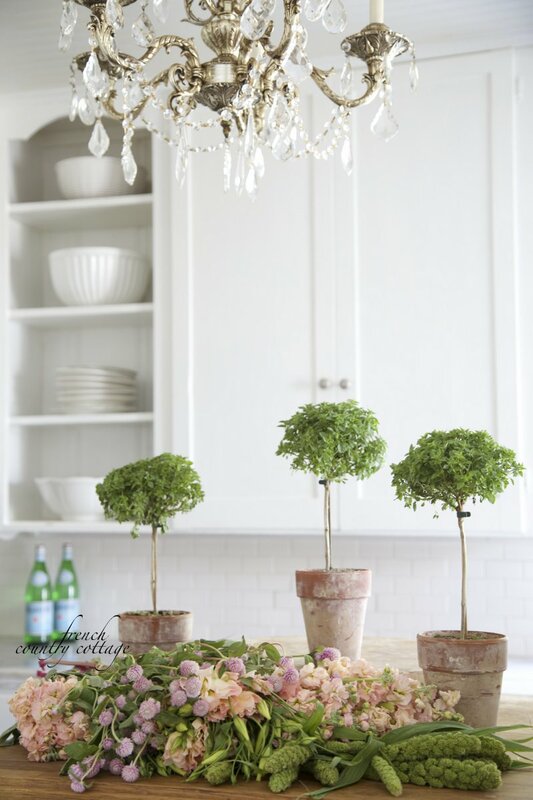 I love my two ivy topiaries that add a stylish touch of nature inside. Even though it still feels like summer (yippee! ), pumpkins don't look totally out of place in the stores--I enjoy Fall, I just really really REALLY miss summer when it leaves! I am so not a seasonal decorator, maybe a tweak here or there but nothing major. I think I've gotten a little lazy when it comes to getting things out and then having to put them away. Shame on me! 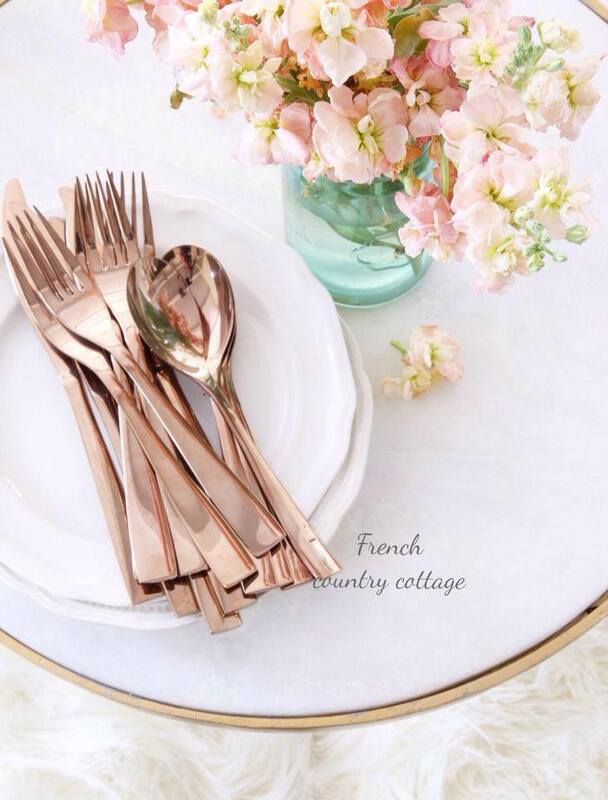 That is very lovely flatware and I adore the color!